By Dan Ambrose: Although it took a while, this Saturday’s grudge match between Antonio Margarito and WBA junior middleweight champion Miguel Cotto is now officially sold out with all 17,943 tickets sold as of Thursday. The fight will be taking place at Madison Square Garden in New York and televised on HBO PPV for $54.95 for boxing fans that couldn’t get tickets. Bob Arum, the promoter for both fighters, is reportedly ecstatic at the news of the fight selling out. This is another in house fight for Arum and with all of the tickets sold out for the fight; he’s understandably a very happy man today. The card itself has some decent fights on the undercard with Brandon Rios vs. John Murray, Pawel Wolak vs. Delvin Rodriguez II, Mike Jones vs. Sebastian Lujan, Mike Lee vs. Allen Medina and Glen Tapia vs. Mike Ruiz. However, some of those fights could end up being mismatches with and that could spoil the evening a little bit if the Cotto-Margarito II fight fails to live up to its billing. Jones will likely overpower Lujan, and the Rios-Murray fight is a straight up mismatch no matter how you try to twist it. The only fights on the card that could be compelling are the Cotto-Margarito and Wolak-Rodriguez fights. Those could be competitive and exciting fights if a knockout doesn’t occur or a stoppage due to cuts. Cotto wants to avenge a loss that he suffered at the hands of Margarito three years ago, and it really bothers him that he was beaten in that fight. Instead of owning the loss and seeing it as a wrong game plan used for that fight, Cotto has stuck to accusing Margarito without proof that he beat him with loaded hand wraps in that fight. 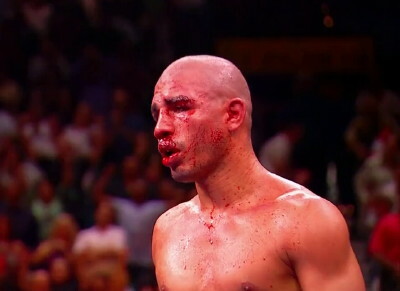 It isn’t good for boxing to have Cotto making baseless accusations and it’s especially not good for this fight. It’s surprising that Arum hasn’t done more to shut Cotto up because he’s talked down the fight with the constant talk of Margarito having plaster in his hand wraps. It all could end up making Cotto look silly if he’s not able to beat Margarito this time because there can no long be any excuses from Cotto. He has to take responsibility for the loss this time or he’s going to look childish.